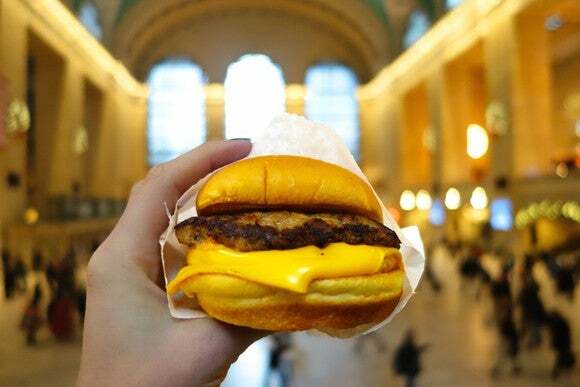 It’s deja vu all over again for Shake Shack (NYSE: SHAK) . For the second time in a row, the better burger chain is reporting lower same-store sales, and while management wants you to ignore the drop because of the company’s low base of restaurants to compare growth to, that’s not even the worst part of the report or why investors should be worried. And although the market reacted as it did last time — dropping the stock on the report before bidding Shake Shack’s shares back up — investors should prepare themselves for another long slog down. Shake Shack revenue jumped 37% in the quarter as it opened 24 new restaurants, but “Same Shack sales,” as it calls comps for restaurants opened for two years, fell 1.8%, the second straight quarter they’ve been negative. After enjoying comps growth in the mid- to high single digits for several years, the restaurant’s growth has petered out. There’s some merit to CEO Randy Garutti’s argument that you shouldn’t give the metric too much import since Shake Shack has only 37 restaurants in its comps base. A company that’s growing is likely to find its comps numbers volatile, so they’re not the necessarily the best metric for gauging a business’ health. Yet two years ago, shortly after Shake Shack went public, Garutti had no trouble highlighting the comps growth the restaurant was experiencing. Back then, after correctly pointing out the low number of restaurants in the mix, he also said the comps growth demonstrated “the strength of our brand outside of New York City.” Apparently today they don’t have the same oomph. But comps aren’t the problem. Shake Shack has a deeper issue that spells trouble for the better burger chain: Fewer customers are coming to its restaurants. This is the number investors need to be worried about. Traffic at Shake Shack fell 4.3% for the period, and had it not been for the price increases the chain initiated, its comps numbers would have been even worse. It can also be argued that the drop-off in customer traffic is accelerating, as traffic was down 3.4% in the first quarter but had been up 7.3% in the year-ago quarter. If you look at Shake Shack’s annual numbers, you find traffic was up 5.5% in 2015, just 1.1% higher in 2016, and is now negative over the first half of 2017 and getting worse. And whereas it previously thought comps would be flat for the year, down from the 2% to 3% growth at the end of last year, it now sees comps falling 2% to 3% this year. A persistent decline in customer traffic is the same sort of problem that had plagued McDonald’s (NYSE: MCD) a few years ago, and now it’s rearing its head again, as the halo of the all-day breakfast menu has worn off. You can see what the drop-off in traffic is doing to Shake Shack’s average weekly sales volume, which fell this quarter to $92,000 from $102,000 last year. Yet somehow management thinks new unit sales volumes will now rise. The company is forecasting $3.4 million in annual sales for new restaurants in the chain, compared with $3.3 million last quarter. Investors need to be worried because the better-burger fad has peaked. While there will probably always be room for a handful of chains that offer higher-quality ingredients and an enhanced dining experience, right now the market is saturated with restaurants offering $10 hamburgers, and they’re all opening new stores, albeit some at slower rates than they previously predicted. The restaurant industry as a whole is suffering from a downturn, and the fast-casual space occupied by Shake Shack is faring the worst these days. For a while it was the darling of the industry and the market, but the trend seems to have run its course as food-price deflation has settled on grocery stores. When it’s a lot cheaper to buy meat and produce at the store and cook it yourself, dining out becomes a highly discretionary spending expendable. 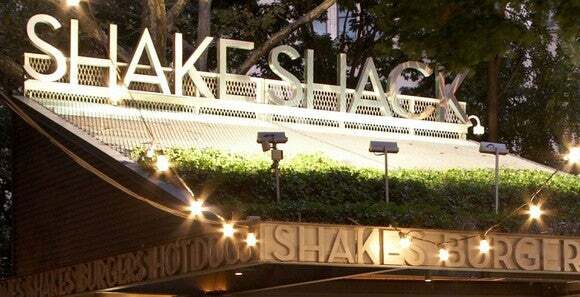 Shake Shack will find it increasingly hard to grow sales and profits simply by opening new locations and raising prices as it has been doing. Customers are still price-sensitive, and that seems to be evident in the chain’s rapidly decelerating customer traffic numbers. David and Tom just revealed what they believe are the 10 best stocks for investors to buy right now… and Shake Shack wasn’t one of them! That’s right — they think these 10 stocks are even better buys. Rich Duprey has no position in any stocks mentioned. The Motley Fool is short Shake Shack. The Motley Fool has a disclosure policy .